The weekend is finally here! One of my favorite things about the weekend is breakfast and brunch. During the week, it is usually grab-and-go for breakfast, which means most mornings I just grab some fruit or make a smoothie. But on the weekend, I relish the time I have to cook breakfast. Saturday mornings are my favorite part of the week. I wake up, head to the gym and come back home to make something wholesome and fresh. 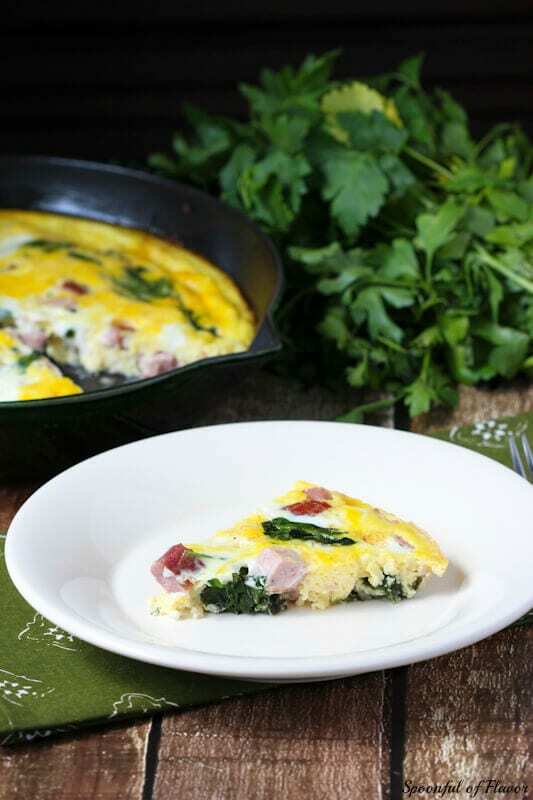 Quite often, our weekend breakfast menu includes this Ham and Spinach Frittata. 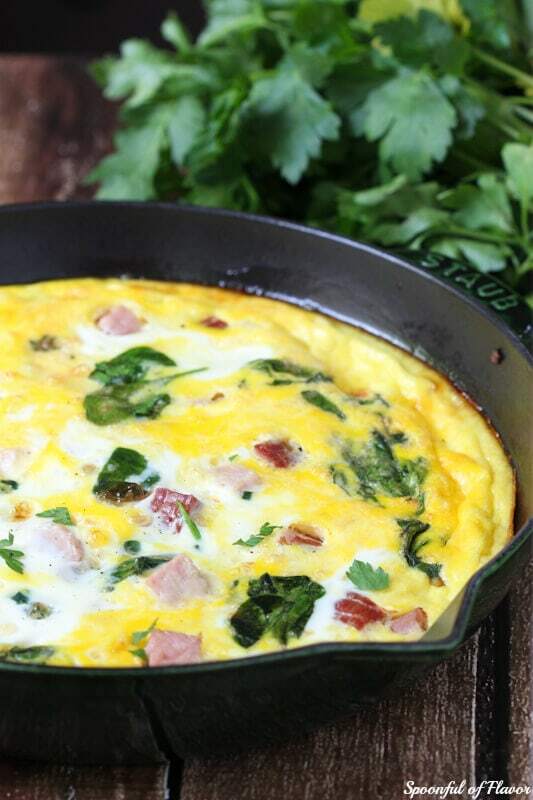 Frittata’s are the perfect one pot breakfast meal. 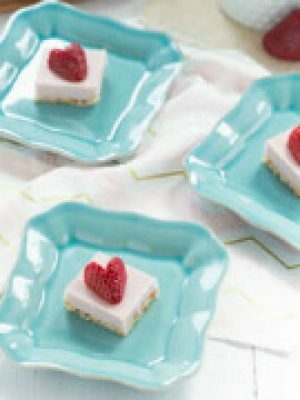 They are relatively easy to make and are ready in less than 30 minutes. They are also great for cleaning out the refrigerator. Perhaps you have some leftover ham or fresh spring veggetables. Just throw in some crisp veggies, cubed ham and cheese (never forget the cheese!). Then combine with the eggs and bake in the oven. The result is a meal that everyone will love. Enjoy your weekend and bake up something that the entire family will love! Why not serve the Ham and Spinach Frittata with these Spring Onion and Cheddar Scones? 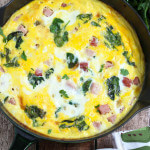 Ham and Spinach Frittata - A quick and easy one pot breakfast meal ready in less than 30 minutes! Preheat the oven to 350 degrees F. In a medium bowl, whisk together the eggs and milk; set aside. Heat olive oil over medium heat in a 10-inch non-stick skillet. Add shallot, garlic and baby spinach. Saute until the spinach is wilted, about 2 to 3 minutes. 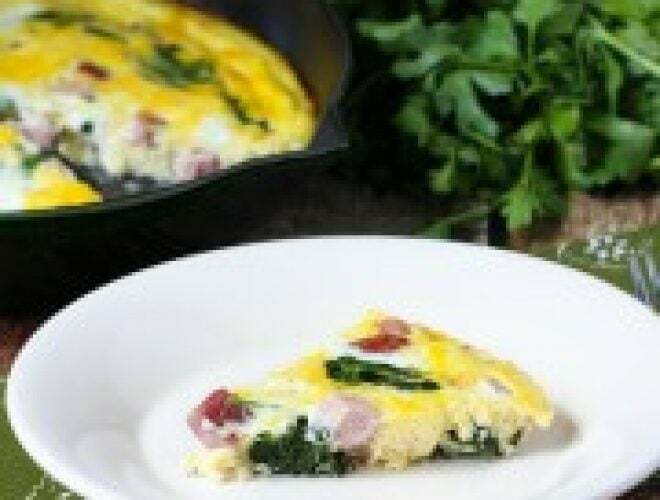 Remove skillet from heat and add ham and cheese. Stir to combine. Pour egg mixture over the top; gently stir until combined. Bake for 15 to 18 minutes or until center is set. Store leftovers in a sealed container in the fridge for up to 3 days. 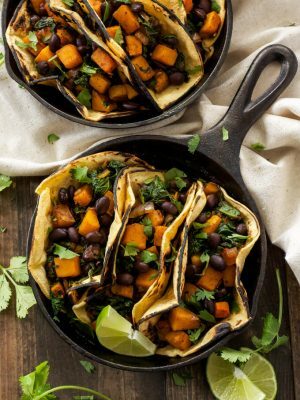 Has anyone commenting, ever actually cooked this recipe? Just seems like a bunch of friends commenting how good it looks. Hi, Harold! Thanks for your comment and observation about the comments. 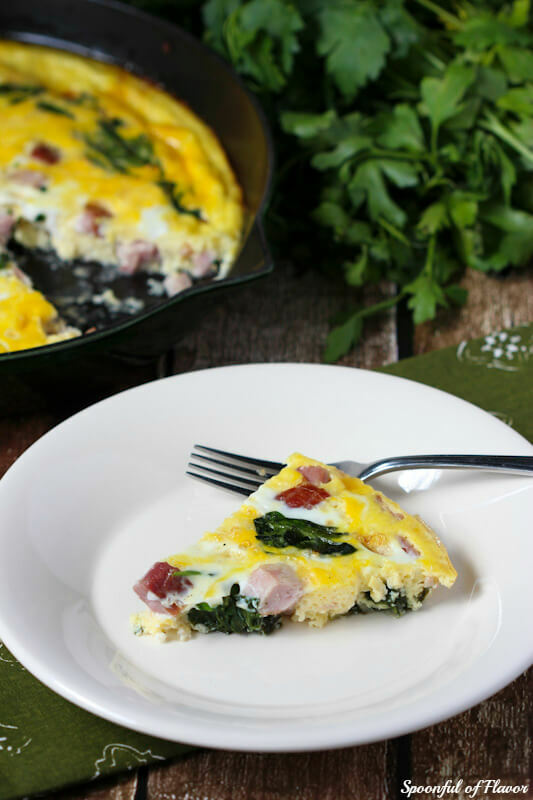 :) This recipe is a pretty standard frittata recipe so I don't see any issues arising. If you try it, please let us know how you like it. Enjoy! I've got a huge hunk of leftover ham in my fridge right now- I think I know just what to do with it! 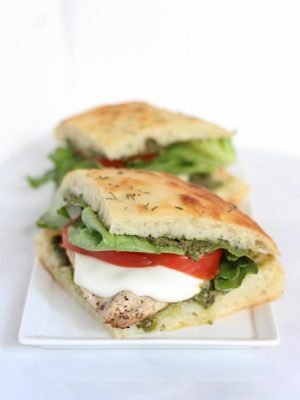 Pinning this recipe ;) Hope you had a fun and relaxing weekend, Ashley! I love fritatas! They make mornings so wonderful. This is perfect Ashley! 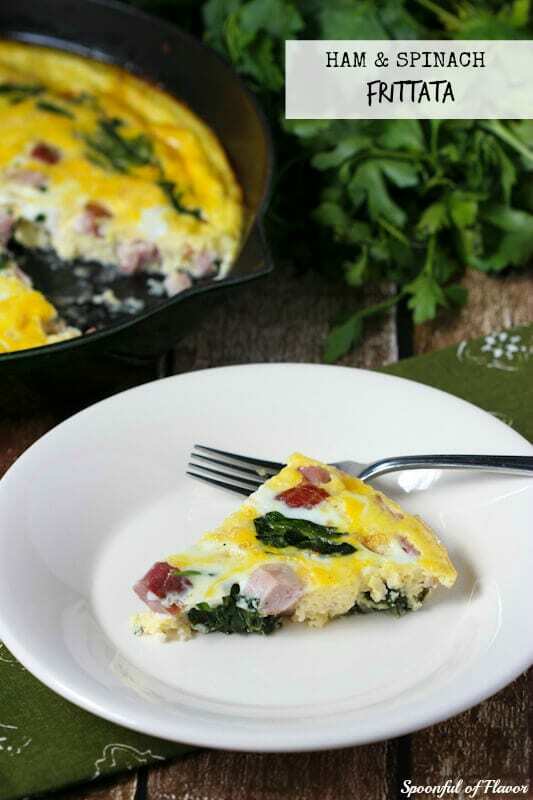 I love frittatas and this one looks amazing Ashley! Fun breakfasts are the best! And this fritatta definitely qualifies as fun. Love all those mixins! Holy yum! 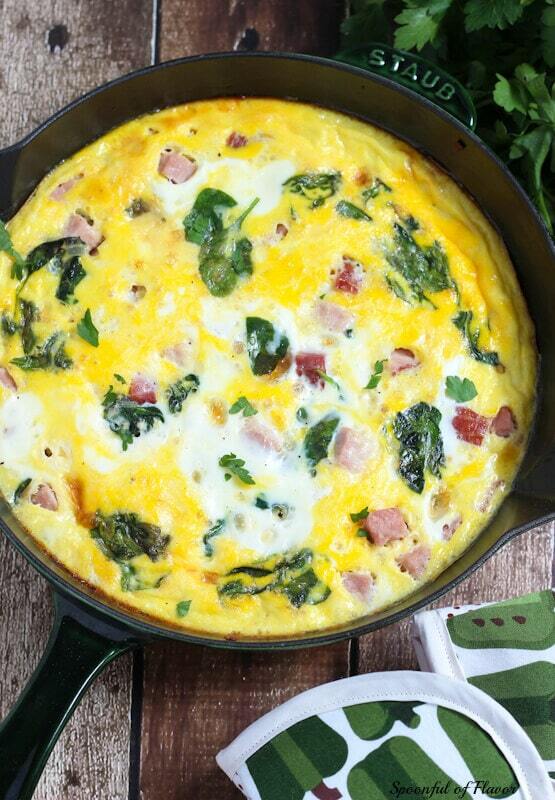 This looks amazing... perfect for an Easter brunch! Yes, please! 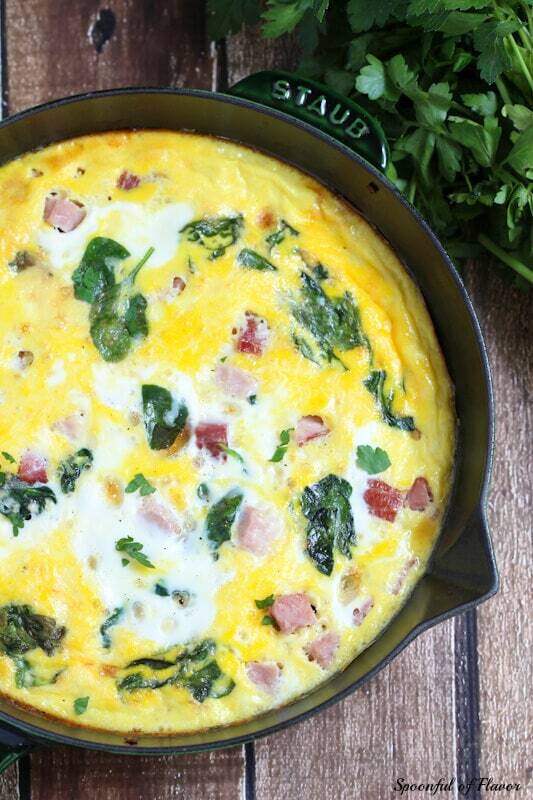 I'll take a piece of this frittata along with one of those cheddar scones!! I'll bring the coffee?? Happy weekend! I hope it's a great one! I seriously love frittatas, and cook them quite often on the weekends. Isn't it great actually having time to cook breakfasts? Weekdays are such "grab and go" breakfasts. Will be using my leftover Easter ham to make this! Thanks, Marcie! Totally agree, brunch is the best! I was just thinking it was time for breakfast and now I want this!. I love a one pot meal too. Anything to have less dishes. Ashley, this is exactly what I want for breakfast! !